Hello hello! Welcome to my June Unblogged Files! This one is a bit shorter than usual - as we were in Germany for the first two weeks of June. 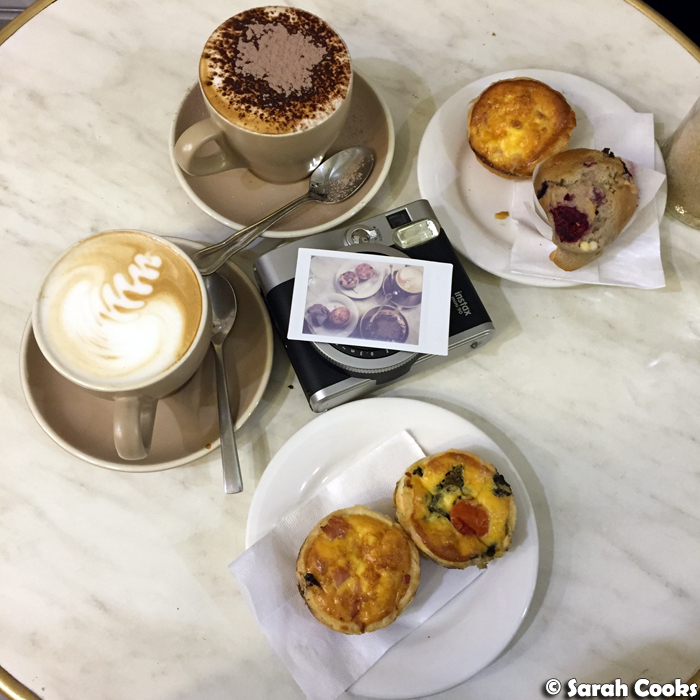 We were suffering some serious jet lag when we first got back, which resulted in a super early Sunday morning breakfast at Provence Artisan Bakers (919 Burke Rd, Camberwell VIC 3124). This place was great! They bake all their stuff in house - croissants, danishes, quiches, muffins - and it was delicious! Highly recommend. 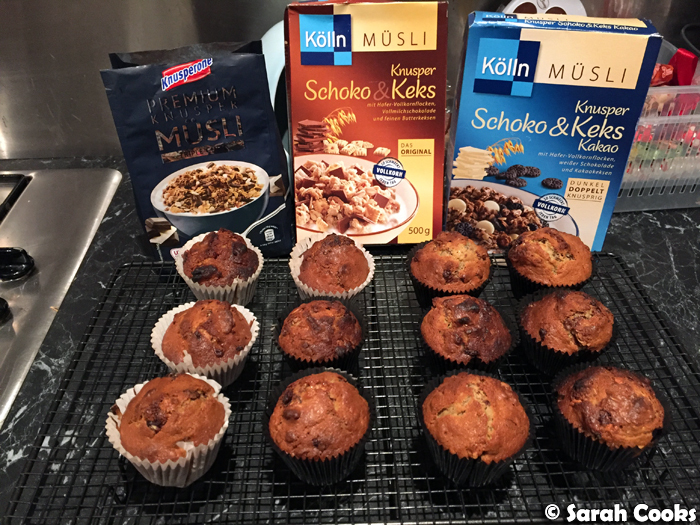 The next morning, I couldn't sleep past 5AM (urrrrgh), so I got up and baked some granola muffins. This is a Nigella recipe, from Feast, and I got to use some of the fab granola that I'd brought back from Germany! Chocolate granola! With bits of Keks (biscuit) in there. What a world we live in. 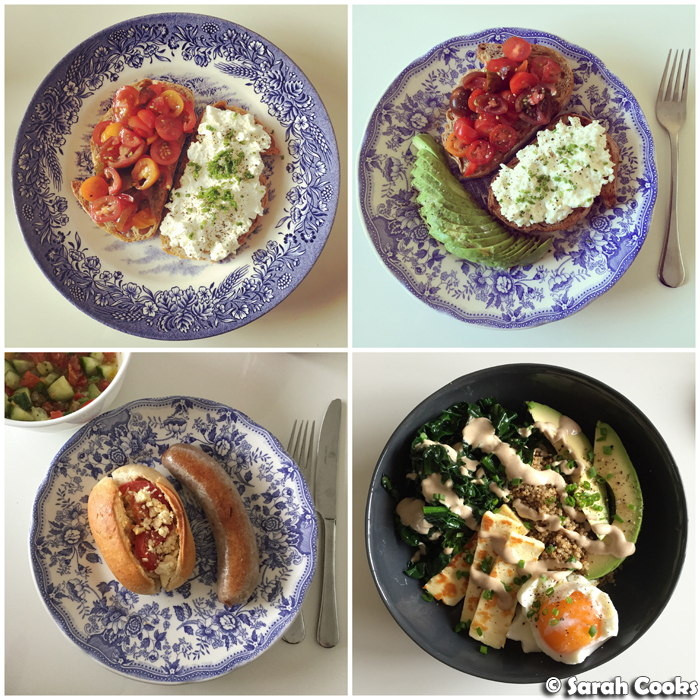 And here are a couple of lunches we made at home on the weekend. I really enjoyed getting back in the kitchen! PS, that creamy quinoa bowl, from the latest issue of Donna Hay Fresh and Light, was all kinds of awesome. Cooked quinoa, with avocado, haloumi, chives, sautéed kale, a soft-boiled egg, and a creamy tahini dressing. I made a triple batch the next day and had it for lunches during the week. 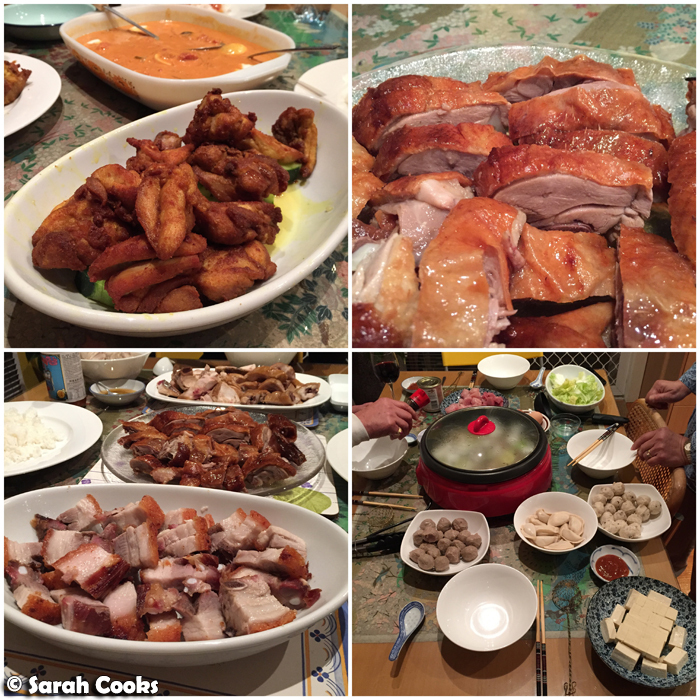 I think I've told you previously that we have dinner at my parents' house once a week. 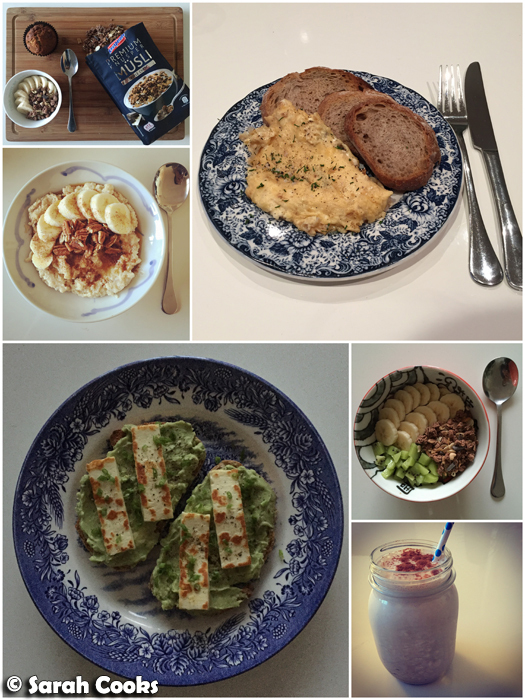 Here's some of the awesome things they cooked (and bought) in June. 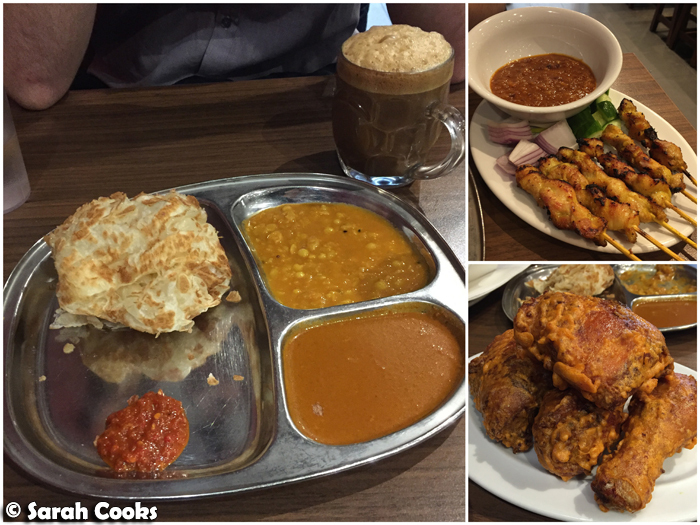 Fried turmeric chicken, egg curry, all the fabulous roast meats, and steamboat! Post-holiday, we were feeling pretty lazy and tired, and the cold weather and dark evenings weren't helping! For dinners, we tried to make comforting and healthy food in big batches so that we could keep eating them throughout the week. 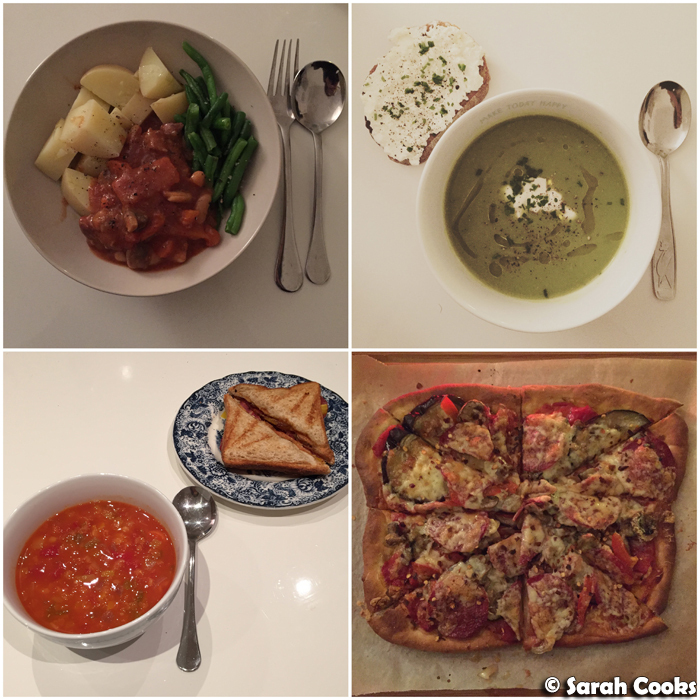 There was a beef and bean stew, Nigella's pea and broccoli soup (with cottage cheese toast on the side), Bill Granger's lentil soup (an old favourite), and one night I made pizza from scratch! (This wasn't one that could make leftovers, but it was still awwwwwesome). 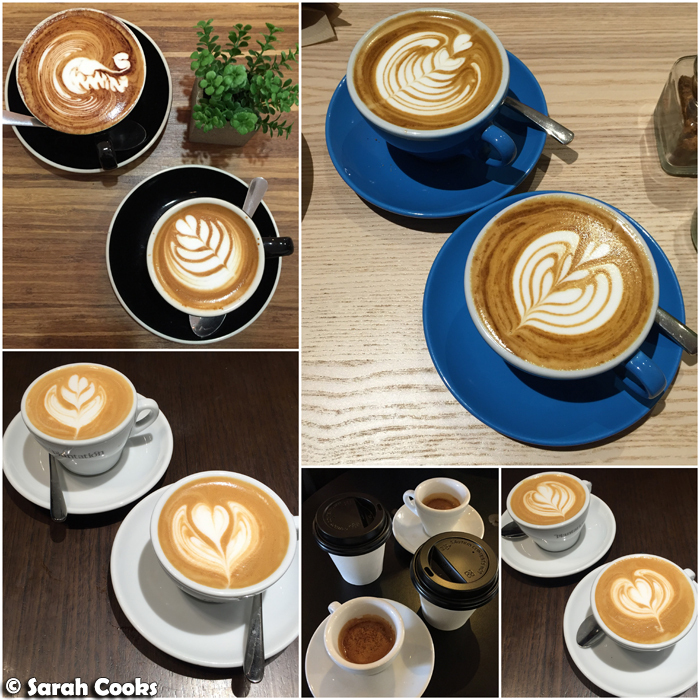 Being back in Melbourne, I've been enjoying good coffee as often as I can. And for lunches, I tried to eat things I had been missing in Germany. So, basically, Asian food! One weekend, we had some friends over for a games night. 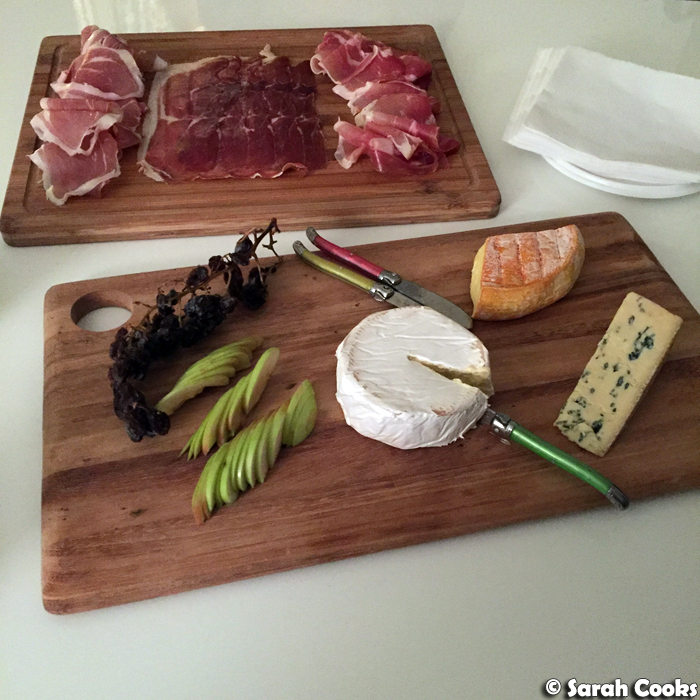 They brought charcuterie and cheese, we made dinner and dessert. And of course, there were many rounds of Settlers of Catan. 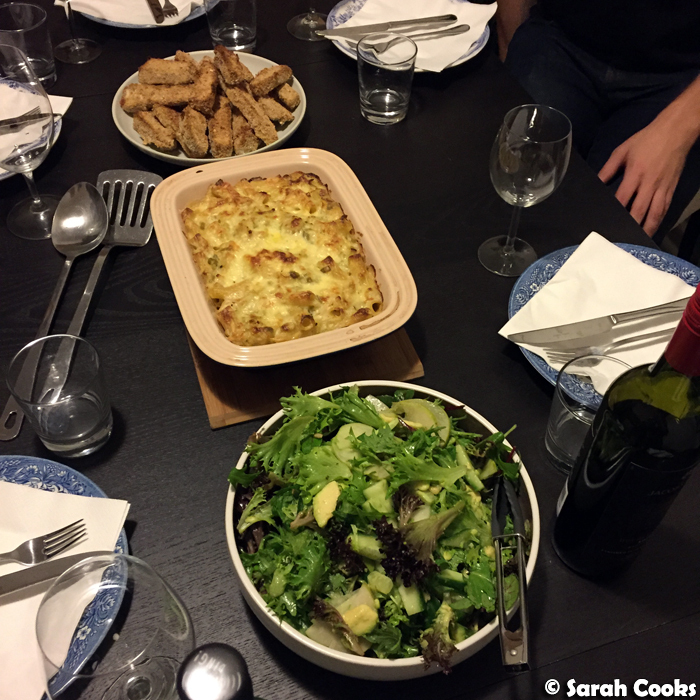 Dinner was Nigella's leek pasta bake (from Simply Nigella), a big green salad and some crumbed eggplant chips. 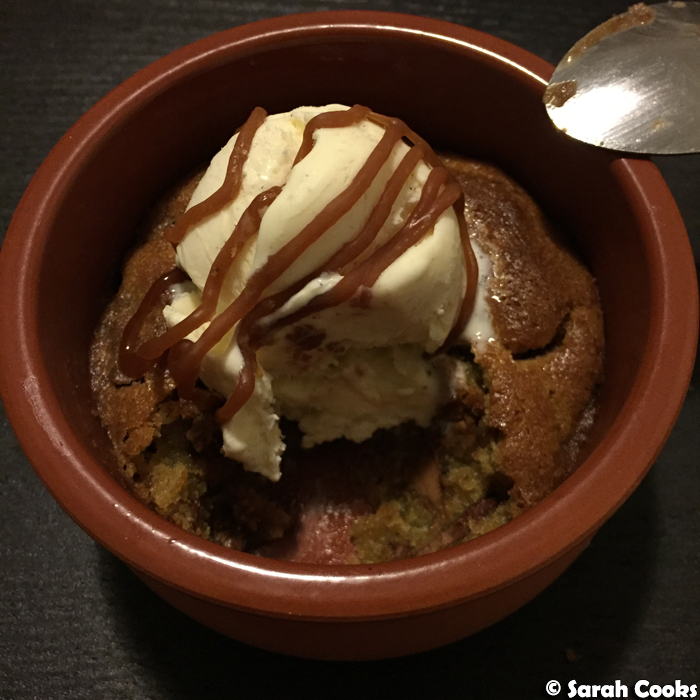 And for dessert, there was more Nigella goodness, with her chocolate chip cookie dough pots. I served them with vanilla bean ice-cream and salted caramel sauce that I'd brought back from France with me. So delicious! Make these, and make them soon! 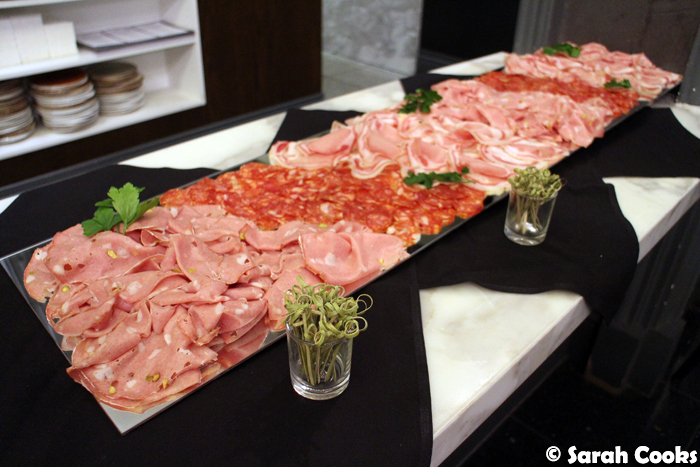 I managed to sneak in one event in June: the menu relaunch at Woodstock Pizzicheria (63 Lygon St, Brunswick East Vic 3057). 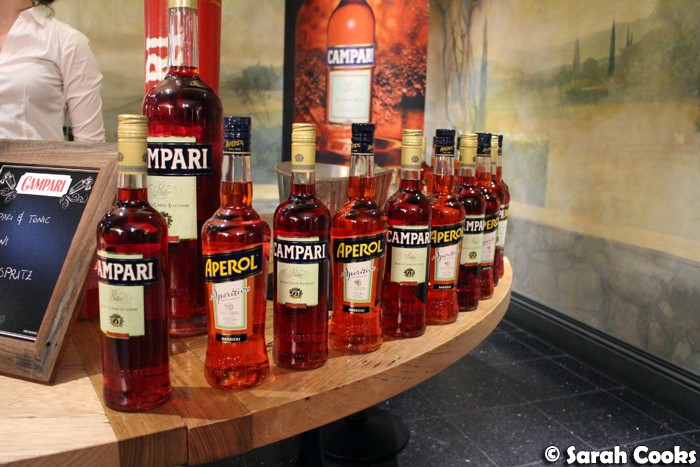 It was a fun night - lots of Aperol spritzes and negronis on offer! 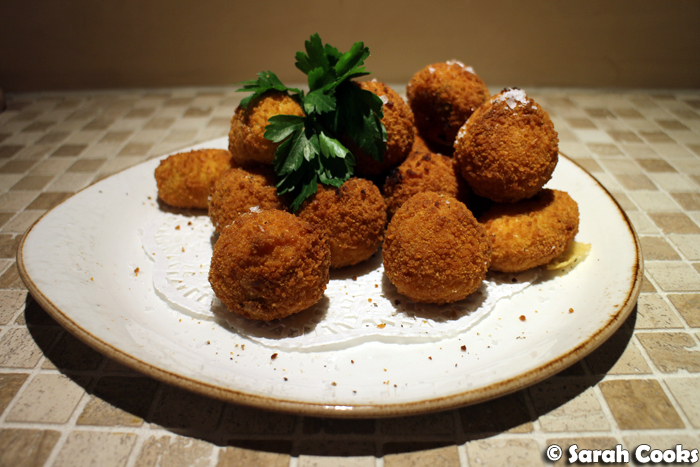 ...and these gorgeous potato croquettes filled with Provolone cheese. Yum. 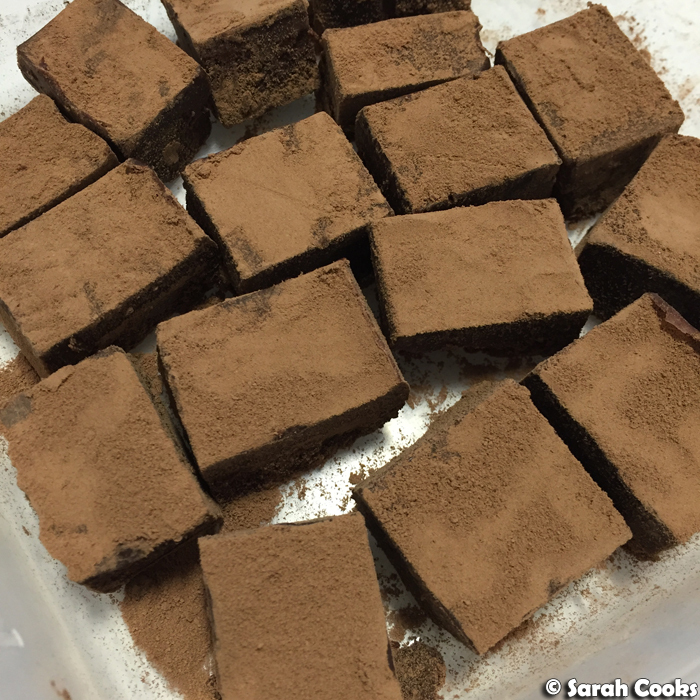 One night, Sandra impulsively decided to make a batch of Nama chocolate. Faux recipes abound on the internet, but basically they're dark chocolate and cream, melted together and dusted with cocoa powder. They taste amazing. 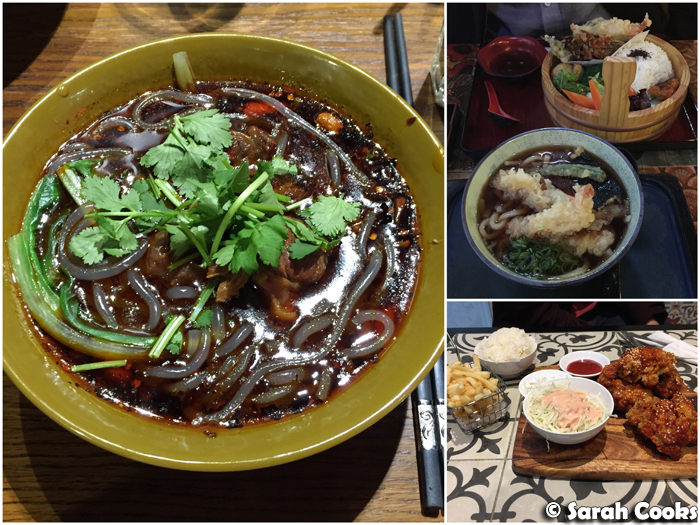 It was my buddy Adam's birthday in June, and we went for lunch at Din Tai Fung (287 Lonsdale St, Melbourne Vic 3000). 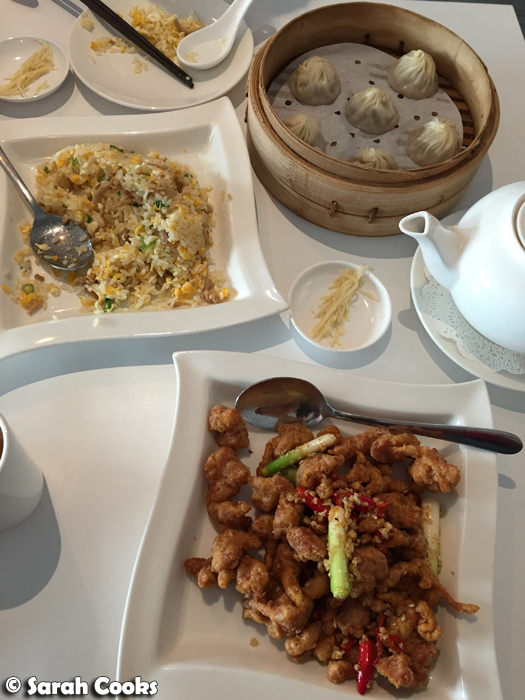 Of course, the xiao long bao are great, but the pork and egg fried rice, and chilli fried chicken are also fantastic. Cold weather calls for pudding! 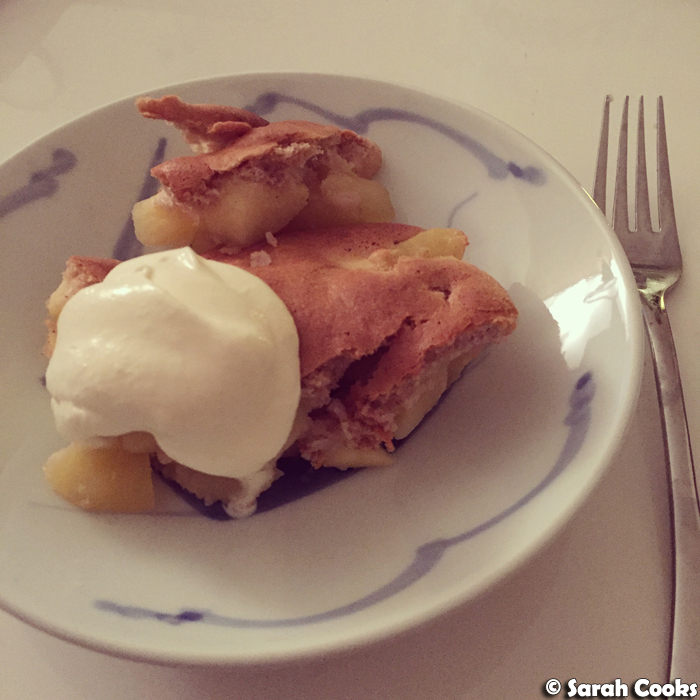 One night, I whipped up an apple sponge pudding - all light fluffy sponge and soft squishy apple. (Check out the recipe here). 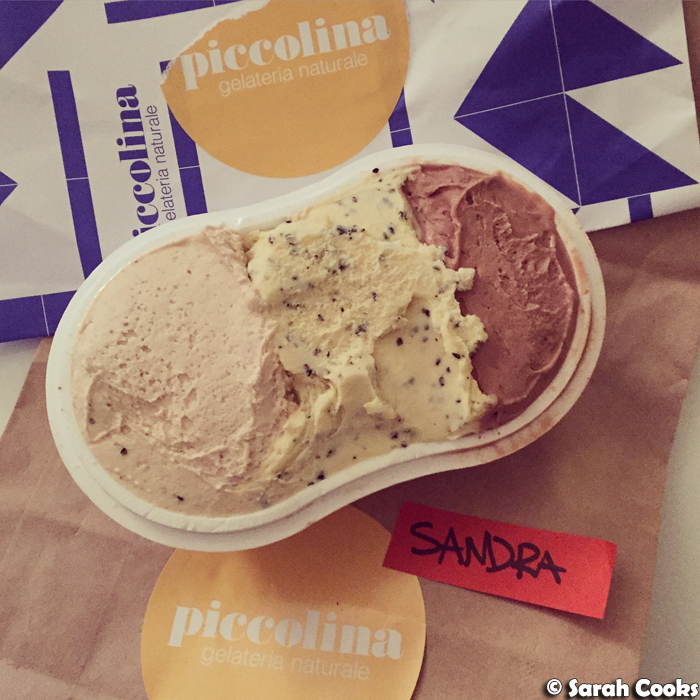 And finally, I wanted to show you some fab gelato that we got home delivered from Piccolina Gelateria using UberEats. We got hazelnut, passionfruit and "Better than Nutella" (choc-hazelnut). What a treat! I think these guys do the best gelato in Melbourne. And that was June in Melbourne! July's shaping up to be a nice quiet month. I tend to hibernate in the colder months, so just have some general hangs with friends planned! Woop woop!